Saving for your retirement is not getting any easier. We are in a slow-growth economy, many asset classes are overpriced, and costs keep going up. As such, you need to choose every month how to make ends meet while putting enough away for a comfortable retirement. This is even more important as we are living even longer. So you probably need to plan for 30-years, or more, or retired life. This is a big challenge and here are some mistakes which you should avoid when saving for retirement. Unfortunately, this has become a common problem. Many baby boomers lost their life’s savings during the dot-com bust and the housing bubble. What could be worse? How about not saving anything at all. Either spending your entire working life splurging on a luxurious lifestyle or never being able to make ends meet. Both paths lead to the same place – a retirement with little or no savings. So, stop thinking about it and start setting aside a bit of your income for retirement. As mentioned many baby boomers lost everything in the dot-com bust or the housing bubble. This is a symptom of poor planning and even worse asset allocation. You know the saying about putting your eggs in one basket. Well, a lot of people have done this whilst planning for their retirement. For some people is was relying on their pension, but then losing their job. For others, it was their 401K or their stock options. While others were just unlucky. Maybe they bought into the market near the top, or the held on for too long. Either way, they ended up losing close to everything. Don’t underestimate the impact of living to 90 or longer. 70 is the new 50, and people in their 80’s are regularly running marathons. Heck, my 80-year-old father-in-law still goes to work every day. Granted, he is not working like he did when he was 40, but he is remaining active. What is the lesson in all of this? People are living longer, more active lives. As such, you need to plan for this. If you retire at 62 or 65, you need be ready for up to 30-years of retirement. This include being active and then the cost of assisted living and medical care later in life. One way to cover these costs is a reverse mortgage and this Q & A Series - How Does a Reverse Mortgage Work is a good start to see how it could help you. So follow a cue from the Boy Scouts. Be Prepared. Know that it is highly likely that you will live into your 70’s, 80’s or beyond and have a plan to ensure that you can maintain your standard of living. 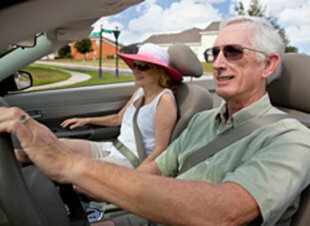 One of the best ways to save a little extra money is to continue working past retirement age. However, working too long can be a problem. Depending on the type of work you are doing it could the physical stress or mental stress. When you get older it is just harder to recover. As such, you want to look at your work plan and make sure you are not overdoing it. It’s not just continuing to go full bore past retirement age. Working too much, such as getting as much overtime as possible, can be bad for you. Yes, you make more money, but you also risk working yourself to the point of exhaustion or worse. When this happens you not only end up losing out on potential income but you will also incur medical expenses. The key is to find the right balance. If you need to keep working past retirement age, then find the right role to fit your needs. In most cases, it’s finding a position which will allow you to work 20 to 30 hours per week without all of the stresses associated with being a full-time employee or a manager. Let’s face it, almost no one works for the same company for 30-years anymore. Companies get bought, they downsize, they relocate. As you can imagine, this is bad for your retirement planning. Not only do you need to find a new job, but many people also withdraw funds from their retirement account to cover expenses. This is not a good idea, especially if you can roll the fund over when you get a new job. Not only does this help you to minimize penalties. But you will also save on taxes and your retirement fund will continue to grow.